We spared no effort or expense in seeking out the best musicians playing the best-sounding instruments, and we took the necessary steps to record them correctly in the most lifelike manner possible. We paid attention to every last sonic detail—it was that important. We did this because we know that authenticity is the key to your artistic success—authentic sounds, authentic emotions, authentic intent. Your best efforts deserve—no, demand—our best efforts. We recorded the Orchestral Companion Woodwinds in the legendary Futura Productions studios in Massachusetts. Members of the Boston Pops and/or Boston Ballet Orchestras played all performances, with the same premium instruments they use for their actual concert galas and events. A combination of spot and ambient mic’ing capture every instrumental nuance, while preserving the refined acoustics and intimacy of the performance space itself. We expended more effort and care on this system than the most ardent audiophiles do on their own systems, but that’s how important it was to us...because that's how important it is to you. 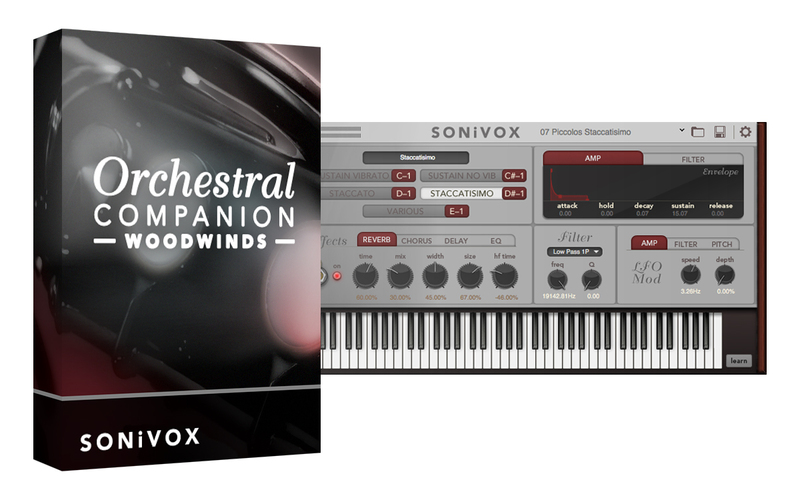 In addition, Orchestral Companion Woodwinds runs as a fully compatible plug-in with any VST (32 or 64 bit), AU (64 bit) , and AAX (32 or 64 bit) for ProTools 10.3 or higher Digital Audio Workstation (DAW) software.